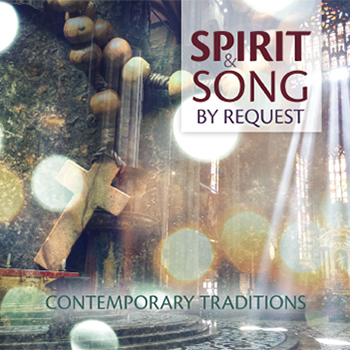 Share the traditional hymnody of the Church in a way that will appeal to today’s generations with 12 songs from Spirit & Song artists. The fourth of the "By Request" collections brings together some of the best pieces from the Spirit & Song hymnal with timeless and beloved melodies expressed in the idiom of the 21st century. The hymns on this album are arranged and sung by a “who’s who” of favorite Spirit & Song artists: Matt Maher, Tom Booth, Josh Blakesley, Sarah Hart, Trevor Thomson, Rick Modlin and Ken Canedo. The first three tracks—“O Salutaris,” “Adoration (Tantum Ergo)” and “Holy God, We Praise Thy Name”—are the iconic hymns of Benediction of the Blessed Sacrament, sung in this order by the grandparents and great-grandparents of today’s young Catholics who have led the resurgence of devotion to eucharistic adoration. The remaining songs are sequenced to follow the liturgical year, from Lent through Easter and onward to Ordinary Time. The album ends with “Hail, Holy Queen” as a tribute to the way the Church ends each day by praying a Marian hymn at the end of Compline. Contemporary Traditions speaks to all generations and offers a wonderful opportunity to unite teens, youth ministers and families in a shared experience of faith-inspired music.